A lot of people want to live greener lifestyles that make them healthier and improve the planet’s environment. Changing habits, however, takes some effort. Remember that you don’t have to make a lot of changes at once. Instead, try to adopt these four habits slowly so you can build on each success. Eventually, you will find that your choices make a big difference. Commuting 10 miles per day, five days per week pours between 0.7 and 1.9 tons of CO2 into the atmosphere over a year. Every day that you ride a bike to work, you reduce your emissions by a small amount. The more you ride, the more you help the environment. 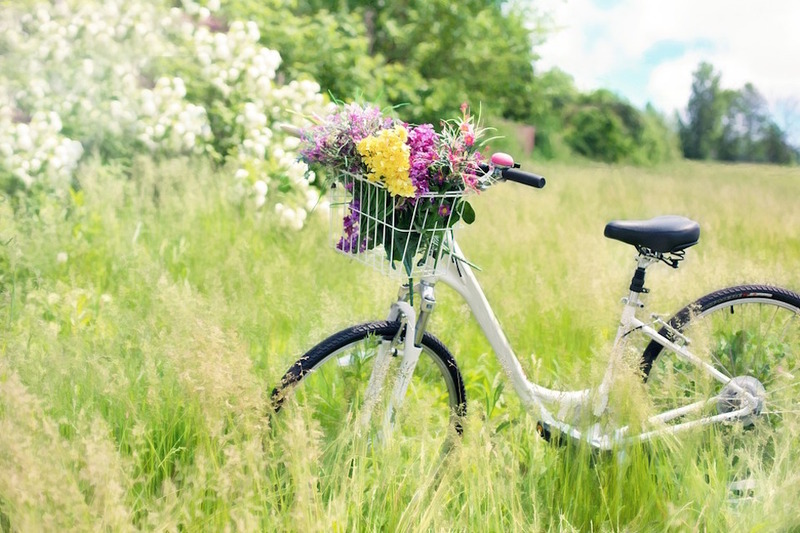 Riding a bike can also do great things for your health. It’s a low-impact way to add more cardiovascular exercise to your day. You will burn more calories, improve your heart’s health, and extend your life. Living a green lifestyle doesn’t mean that you have to sweat throughout the summer. Instead of turning off your air conditioner during the summer, have a professional perform HVAC maintenance that will make the system more efficient. HVAC maintenance that seals leaks, removes dust, and replaces worn parts can improve your air conditioner’s efficiency by 20 percent or more. Maintenance will also improve your indoor air quality and lower your monthly energy bills. Many of the household cleaners sold at retail stores contain harsh chemicals that can harm you and the planet. According to the Environmental Working Group (EWG), some of the most dangerous household cleaners include Ajax Multi-Purpose Cleaner, Charlie’s Soap Surface Cleaner, and CVS Window Cleaner With Ammonia. On the surface, these products look like the other cleaning products that you might buy, but they could pose serious threats. You can’t possibly keep up with every chemical included in common household products, so it makes sense to check the EWG website before buying anything. EWG is a handy tool that will help you choose cleaners that keep your body, home, and planet healthy. Eating meat may seem like a fairly harmless thing to do – at least from an environmental perspective. After all, you have seen beautiful farms where cows happily munch on grass. How could that hurt the planet? Unfortunately, not all farms look like the ones you pass in the countryside. In an effort to keep up with the world’s growing demand for meat, farmers have started to tear down large sections of the Amazon rainforest, which produces more than 20 percent of the world’s oxygen and provides homes to about 10 million species. You don’t necessarily have to stop eating meat to prevent the rainforest’s destruction. Meatless Monday decreases the amount of meat that you consume and helps offset the rising demand for meat products. When you do eat meat, you should choose cuts from local farms that raise grass-fed cows. Even small changes can make your lifestyle greener. As you gain more experience, you may want to explore other ways that you can improve the planet’s health. Disclosure: This article is provided by a guest author.